One way this situation arises is if your potential recommender is someone who’s in a very senior position but hasn’t necessarily worked closely with you – hence the importance of choosing recommenders based on how well they know your work, not just their titles. A related problem arises when a recommender does know your work but doesn’t know much about you, such as whether you have the personal traits to excel at a top business school. This situation is more nuanced. Some recommenders will go ahead and write a bland review that compliments your good work even if it doesn’t say much about how you stand out as a candidate. For this reason, it’s actually preferable for the recommender to let you know upfront that they aren’t the person to write your letter. It gives you an opportunity to reevaluate and find a recommender who you’ve not only worked closely with, but with whom you’ve done work that reflects your unique personal strengths. If someone hasn’t written letters of recommendation for business school before, they might be unsure how to write such a letter. In this case, they might decide that not getting involved in your application at all is the best option. One way you can lower your chances of having recommenders back out for this reason is by communicating clearly what the process for submitting a letter is, what schools are looking for, and what your own goals are. But if you do provide that context when you ask for a recommendation and the person still declines for this reason, you should probably take it at face value and assume that they really don’t have the experience and skills to write you a strong letter. So far, I’ve listed practical reasons someone might not be comfortable writing you a recommendation, but there are more philosophical problems that can come up as well. One is if your recommender views business schools in general with skepticism. “It’s not you, it’s me” is a cliché, but if a recommender turns you down for this reason, you can take some solace in the fact that it’s really not you, it’s your recommender. Even if your potential recommender knows the value of business schools in general, they might not like the program you’re applying to. I’ve had situations where clients have been told by their recommenders that they are interested in writing recommendations for particular schools but for others. This can reflect a recommender’s bias about schools. If recommenders have such bias you need to look elsewhere. Sometimes it’s not even that your recommender doesn’t like a program – it’s just that they think you can’t get in. If you suspect a recommender declined to write you a recommendation for this reason, use it as an opportunity for reflection: think about what unique strengths make you qualified for that program, then consider what potential recommenders are in the best position to attest to those strengths. When someone says “no” to writing you a recommendation, it’s easy to assume that they simply don’t like you. As you can see from the reasons listed above, more often than not this isn’t the case for a rejection from a potential recommender. But sometimes it is. If you’ve done good work with and demonstrated desirable traits for B-schools like leadership, someone might seem like the right person to write your recommendation on paper. However, you ultimately have to consider the less tangible question of whether they like you as a person. No matter what someone’s reason for refusing to write your letter of recommendation, you should realize that they’re probably doing you a favor. Every recommendation declined is a bad recommendation avoided. In other words, having someone choose not to write you a recommendation at all is better than having them write a bad recommendation out of a sense of obligation. As you can tell, finding the right recommenders isn’t a trivial part of your B-school application. It involves carefully considering what you’re aiming to communicate to the adcom and what schools are the best fit. At EXPARTUS, we’ve seen the full range of recommendations, through the eyes of applicants and the eyes of the adcom, so we can guide you through the process of securing letters of recommendation that will boost your admissions chances. 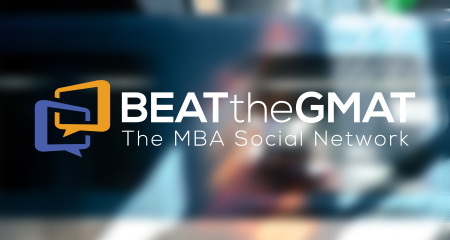 To get started, sign up for a free MBA assessment! The post 7 Reasons Your Recommender May Not Want to Write You a Letter of Support appeared first on EXPARTUS.